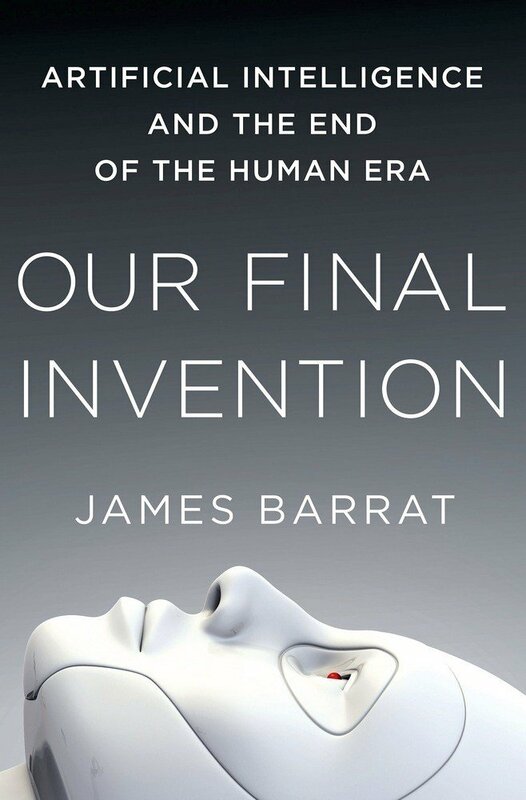 I read the book: Our final invention by James Barrat. It discusses AI and if it will be the final thing we do. The book was published in october 2013. Although it is a few years old, the discussion in it and the points made are still relevant up until this day. James Barat is a documentary maker, public speaker and writer. He has worked for National Geographic previous to writing this book. His book was named one of the definitive tech books of 2013. So let’s find out if this title is deserved. “Artificial Intelligence helps choose what books you buy, what movies you see, and even who you date. It puts the “smart” in your smartphone and soon it will drive your car. It makes most of the trades on Wall Street, and controls vital energy, water, and transportation infrastructure. But Artificial Intelligence can also threaten our existence. The writing style of the book is formal, but not done overly. A reader with normal comprehension of English will not constantly be grabbing for his dictionary. What I liked is that no previous knowledge about AI is necesarry as everything relevant is explained in the book. It really guides you through and helps you understand everything necessary to understand the discussion that is happening in the book. Although the book deals with a hefty subject, that of AI, it really is a pleasant read. People that are interested in technology will gain most of this book. Philosophers and people interested in advancements in society will pick up this book as it is a great read to see what the future will bring. I don’t think it markets to a specific audience. This book is accessible for everybody even slightly interested in the subject as they will get sucked into the discussion almost immediatly. The writer has a very pleasant writing style and a very clear way in making difficult matters understandable. I had no previous knowledge of AI and gained a lot of new tidbits to think about and play with in my mind. To be honest, this is my first book on the subject, and it sets the bar high for other books on the subject. If all books were explained this clearly, then it would be fun to read. This book explains the dangers and advantages of AI. It explains what the future might bring and the things to look out for in the future. It details the past of AI and what the future might bring and brings different points of view on that future. Some might be gloomy and dystopian, others are kinder. All give us a warning though. The book focuses this one question: “Will developing AI possess any danger in the future?” It answers this clearly through pitting different points of view against eachother, which gives a clear image of the thinkers in this area and will help you make up your mind on the subject.The book is not so dense to include every single detail of AI and all it’s history, but it gives you enough. It gives you the barebones so you can make an informed opinion on the matter. It really strikes a balance between to little and to much information. The information provided on the subject of AI is enough. To really propose his argument he uses case examples, he interviews leading researchers and theorists and developers of AI, which, as stated before, gives you a multi-layered perspective of AI and the possible dangers, also the possible advantages. The evidence is based on theories, off course, as we don’t live in that future yet. So it is speculative, but enough information is given to support his point of view and that of other researchers, which helps you learn more and have an informed opinion. Other books might supplement the subject matter, but if you only must read one book on the subject, this will do. As you might have noticed, I recommend this book highly. You can get a copy through my affiliate link here.